Any great escape from the metro needs good food. And at Pico de Loro's Pico Restaurant and Bar, you get that and more. Summer's here, time for some sun and sand, time to hit the beach. And just an hour and a half's drive south of the metro, Pico de Loro is quickly emerging as the country's premier sustainable beach resort destination. Dubbed as the "Philippine Riviera", Hamilo Coast is located at the southwestern tip of Luzon, roughly a 90 minute drive from the metro via the new CAVITEX Expressway. Within the sprawling seaside sanctuary lies Pico de Loro, the maiden residential community of Hamilo Coast. The massive 5,800 hectare property includes forests, mountains, 13 picturesque coves and 25 kilometers of coastline, just the place for that perfect escape from the city. There's more to Grillery than their signature grilled items. And seeing an old favorite just made my whole experience at Grillery even better. A new way to connect and a special deal. 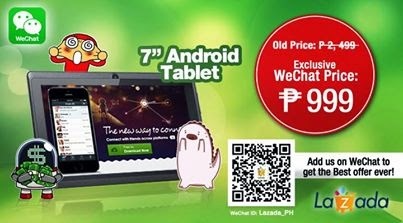 The country's leading social mobile app, WeChat, announces an exclusive offer for its users, just in time to ring in the second anniversary sale of Lazada Philippines. As the country's leading online shopping site, Lazada Philippines wishes to thank its customers for supporting their platform offering a wide array of products, from consumer electronics and fashion pieces to home and living must-haves. Dense, rich, smooth and creamy, Carmen's Best Ice Cream is homemade artisanal ice cream at its best, made the old-fashioned way. A fusion of traditional flavors with innovative and creative twists. Midas Hotel & Casino continues to surprise, with something new at every turn, with the unique dishes at Yanagi Japanese Restaurant. Yanagi Japanese Restaurant serves traditional cuisine as well as creative signature dishes for a unique and memorable dining experience. New and different, you'll be pleasantly surprised with the impressive selection at Midas Hotel's Yanagi (for more on Midas Hotel & Casino, check out my previous post here at http://dude4food.blogspot.com/2014/03/midas-hotel-casino-something-new-at.html). The iconic landmark is given new life in a perfect synthesis of the old and new, and Midas Hotel & Casino promises to surprise you with something new at every turn. ...just another day at Pink Panda Southeast Asian Diner. You're tasked with planning a party. What used to take weeks can now be compressed into a few days. With WeChat's new and engaging features, you can relax and plan without the stress. Now how cool is that? And there's no better way to celebrate a successful first year than in true Brotzeit style, with wheat beer and pork. Lots of wheat beer and pork (for more on Brotzeit, check out my previous posts here at http://dude4food.blogspot.com/2013/04/prost-good-times-at-brotzeit-german.html and see how Brotzeit does Oktoberfest here at http://dude4food.blogspot.com/2013/10/oktoberfest-at-brotzeit-german-bier-bar.html). The Embassy of Canada recently organized a wine cocktail reception showcasing a selection of premium Canadian wines at the Makati Shangri-La's Sage restaurant and bar. Hosted by Canadian Ambassador Neil Reeder, guests from media and the beverage industry were given exclusive access to a selection of red and white wines from Canada. In this paperless, digital age, tracking lost files can be a nightmare. And as mobile social media communications becomes more pervasive and part of our daily routine, losing soft files can be a real nightmare. 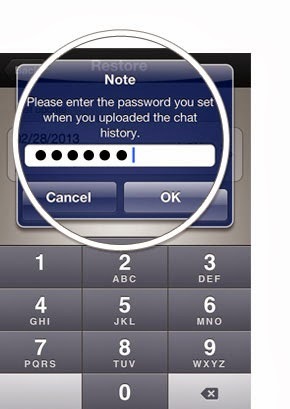 But WeChat's got you covered. 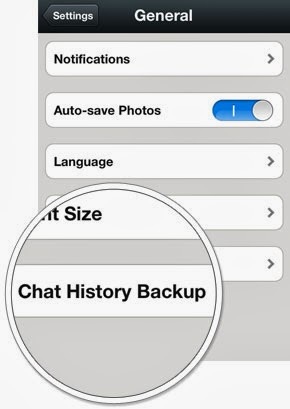 Retrieving important dates, lists, and work exchanges is easy and simple with WeChat's new Chat History Back-Up feature. bun...award-winning Chef Josh Boutwood does it again with four new Wagyu Burgers for Village Tavern. Village Tavern unveils its new line of premium Wagyu burgers with different layers of exquisite toppings to level up your Wagyu experience, with each burger offering a different set of flavors for burger fans. All you can eat sushi and sashimi all day for an awesome seafood feast...only at Genji-M.
A premium, juicy steak, and all's good. The rich flavors of the American Southwest, Texas, and Mexico come alive in every bite with T.G.I. Friday's new Tex-Mex dishes. From starters to mains, T.G.I. Friday's brings you fresh Tex-Mex flavors with no need to cross borders. And a cold Corona Extra too. The world's # 1 restaurant specializing in Gyoza,or Japanese pork dumplings, finally opens in Manila. Osaka Ohsho continues to expand its presence in the Southeast Asian region with the opening of its first branch in Manila at SM Megamall's new Fashion Hall. Using only the finest and freshest ingredients, Osaka Ohsho brings its signature dishes, including its famous gyoza, to a local market that enjoys everything Japanese. Riding on the crest of a resurgent popularity in Japanese cuisine, Osaka Ohsho brings its unique line of gyoza and other dishes to match the growing ramen and katsu trends in the metro. The very best of Japan's Kumamoto Prefecture comes to Manila with the freshest and finest ingredients at Magosaburo. And if you're looking for a true Wagyu experience, Magosaburo is the place. The very best Japanese Wagyu beef cooked right by your tableside on traditional lava plates is an art mastered at Magosaburo for a unique dining experience. Six cool new features. One awesome experience. With WeChat's 5.2 upgrade to enhance your experience, staying connected with your friends opens up a whole new world of possibilities. The world's most searched social mobile app for 2013, WeChat makes your chatting experience a lot more fun.